Potassium Sulfate is a natural mineral containing 52 percent soluble potash and 18 percent sulfur; it also contains trace amounts of calcium and magnesium. Crops can use as much as 250# of Potassium Sulfate per acre per year, making Potassium first runner up in abundance needed for plants to thrive. You can apply it as a supplement or other natural blended materials to aid in soil deficiencies. 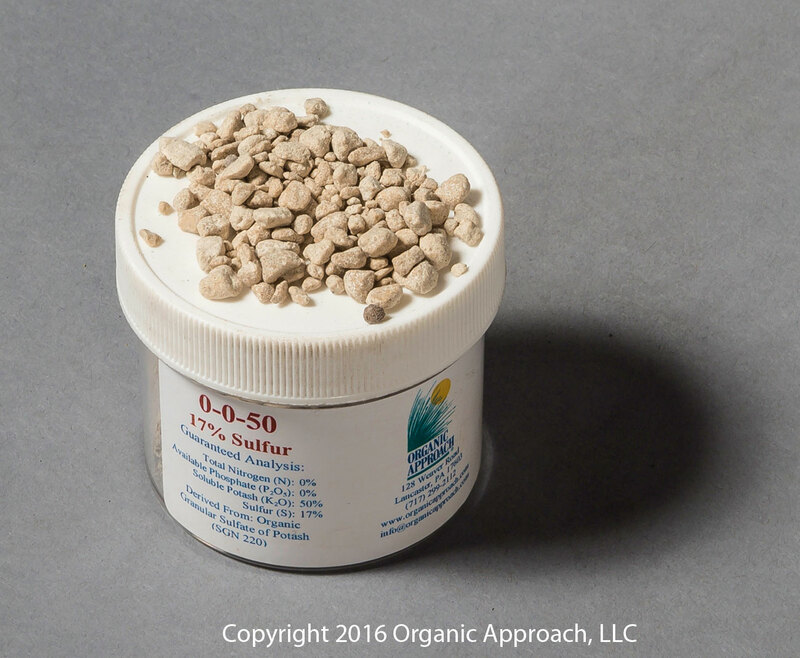 If you are also looking to add magnesium, check out Sulfate of Potash, Magnesia.